Seasonal Affective Disorder (SAD) is extremely prevalent in our society. The lack of sunlight in the colder months has a marked effect on our brain patterns and biology, leading to a surge of depressive feelings, lethargy and apathy. Part of this is due to the impact of light on our circadian rhythm, the regulated sleeping and waking patterns we all live by. The rest is just the impact of less brightness in our day. Norway and Sweden, two countries with especially harsh and gloomy winter months, have been battling this problem for some time. Depressive episodes can strike a serious blow against productivity and overall community happiness. What could they do to fix that? First, they recognized the connection with other forms of mental illness and the implications it brought forward. People with depression and Bipolar Disorder, for example, are more likely to be affected by seasonal depression. This can worsen symptoms, including dangerous ones. Testing theories about light on SAD, students were given time with special lamps using light bulbs that simulate sunlight every morning as they walked into class. What they found was that students were happier, more awake and better able to take part in their studies. Research by the Lighting Research Center, headed by Rensselaer Polytechnic Institute's Professor Mariana Figueiro, has seen an impact on older adults suffering from Alzheimer's. This is broken down into many different studies that look at some different aspects of Alzheimer's treatment. For example, lighting can be tailored to help agitation, sleep disturbances and emotional problems in patients with dementia. Figueiro has been talking about the effect of lighting in assisted living and nursing homes on Alzheimer's patients for a few years now. The disease disrupts the brain's ability to effectively process light - which we need to keep our circadian clock synchronized. One of the major problems that afflicts Alzheimer's patients is their inability to maintain a consolidated sleep during the nighttime. Dim light typically found in nursing homes makes matters worse. Her answer: exposing Alzheimer's disease patients to high levels of light during the day - similar to daylight - by simply adding fixtures to their rooms, you can help them sleep better and longer at night, reduce feelings of depression and reduce agitation during the daytime. We have got in touch with Mariana Figueiro who shared her newer project, a website called Lighting Patterns for Healthy Buildings that helps lighting designers select quality lighting that supports healthy living. 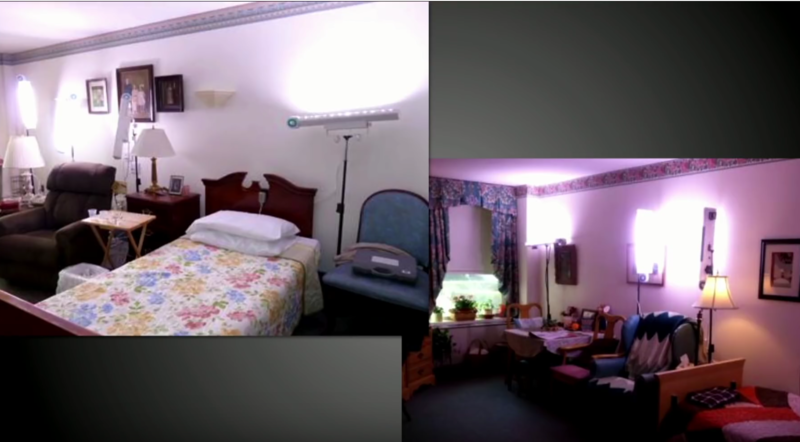 Our new website shows examples of how long-term care facilities can utilize lighting to support the health and well-being of their residents. The website introduces cycled electric lighting with cool, high light levels for high circadian stimulation during the daytime, and warm, low light levels for reduced circadian stimulation in the evening, along with good lighting for visibility, and night-lights to provide horizontal/vertical cues to improve postural control and stability. An excellent TEDTalk by Figueiro, who is also the Light and Health Program Director at the Lighting Research Center (LRC), looks at how this is being put into practice elsewhere. In her lecture, she talks about the death of her mother of liver cancer at the age of 61. It is her belief that the use of light therapy and chronology (different times of administering cancer drugs) may have helped her mother better adjust to chemotherapy and perhaps fight the disease. As the doctor refused to change the times, it will never be known. Studies have been giving us some insight into the matter, however. In 2006, the Center For Health Design found that lighting had real life applications in hospital and treatment settings. Patients who were exposed to special lighting were seeing real, marked improvements in their health. 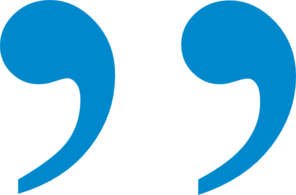 Not only that, but it helped healthcare professionals remain more diligent and provide better care. By controlling the body's circadian system, light impacts outcomes in healthcare settings by reducing depression among patients, decreasing length of stay in hospitals, improving sleep and circadian rhythm, lessening agitation among dementia patients, easing pain, and improving adjustment to night-shift work among staff. Many of the above scenarios are applicable more to healthcare settings and professionals. But while we have limited control over what hospitals choose to create a light-based treatment plan, we can start incorporating light therapy into our own daily lives to help with our own health and well being. Get more sunlight. For those living in regions and during seasons where there is little sunlight, this isn't as much an option. No one wants to sit outside in the freezing cold. But on days where the sun is visible, getting as little as ten minutes a day can be very helpful. For children, encouraging them to spend more time playing outdoors will make a world of difference in their sleep schedule and mood. To cope with depression and stress, change the lighting in your home. Your lighting should match the function of the room you are in. For example, your bedroom can use a cool or daylight style bulb as your main lighting source to help you become more alert in the mornings, and a non-blue light bulb for a lamp at night. Try color changing bulbs. LED lights are a modern convenience for anyone who wants more control over their lighting. You can get bulbs and dimming switches or lamps that let you switch between colors and brightness for the time of day. So you can go for a blue light style during the day and a non-blue light style at night to help regulate your circadian rhythms in every room. Use screen overlays. Most of us don't have the luxury of turning off electronics four hours before bedtime and letting our bodies do their chemical work naturally. Which is why you should use a dimming overlay that helps to block blue light as the day wears on, helping your brain produce those chemicals even when working on screens later in the night. For computers, try a problem like Fl.ux. For smartphones and other hand-held devices, try Twilight. Eliminate screen exposure for children in the evening. For younger people, we can see the effects of lighting in many different studies that examine blue light from screens and the way teenagers and children sleep. Not only does that make it more difficult to sleep because they are disturbing their circadian rhythms by exposing themselves to it at a late hour, reducing the amount of melatonin released in their brain. Lack of sunlight as they stay indoors means they are sleeping worst, as well. When children and teens don't sleep, they don't perform well. Their bodies and brains require rest as they go through the complicated daily growths that are typical of their age. Light (and lack of the right kind) are potentially stunting the development of our youth. Get a light box. For more advanced forms of light therapy, especially for those suffering from light based depressive symptoms or mental illnesses worsened by lighting, you can get a light box. These range in price from $20 - $300 and have different lux values. Try and find one that is at least 10,000 lux to get the most out of it. If you are experiencing side effects, such as headaches, eye strain, nausea or sleep disturbances, cut down the time you spend in light therapy and slowly work up as you find the amount of time that works for you. Lighting has real implications for health, mood and overall well being. To help you and your family improve lives it is a good idea to incorporate these practices in your home.